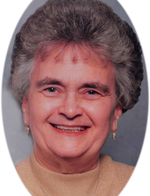 Margaret Fick Obituary - Newport, Arkansas | Jackson's Funeral Homes Inc.
Mrs. Margaret (Kirby) Fick of Newark, Arkansas, departed this life on Sunday, February 3, 2019, at the age of 83. She was born August 30, 1935 at Lapeer, Michigan, the daughter of Earl and Albertine (Travis) Kirby. Mrs. Fick was a homemaker, and a member of Newark Missionary Baptist Church. She enjoyed watching TV and babysitting the children of the Newark community. 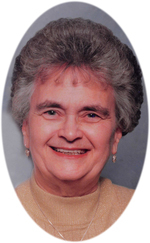 Mrs. Fick loved children, and was very supportive of her family and friends. She was preceded in death by her husband, Max Phillip Fick, Sr.; one son, Bruce Fick; and her parents. Mrs. Fick is survived by four sons, Phillip Earl Fick, Sr., and wife, Mary, of Newark, Mark Fick, Sr., and wife, Rhonda, of Magness, Max Fick, Jr., of Newark, and Henry Fick of Southside; one daughter, Cynthia Fick of Batesville; one brother, Larry Kirby of St. Louis, Missouri; eight grandchildren, Sherry Bell, Angela Elaine, Scott Pipkins, Jennifer Treadway, Phillip Fick, Jr., Holly Smith, Mark Fick, Jr., Josh Fick, Sr.; fourteen great-grandchildren; and two great-great grandchildren. Graveside services are 10:00 a.m. Tuesday, February 5, 2019, at Blue Springs Cemetery with Rev. Bill Goodwin officiating. Those honored to serve as pallbearers are Phillip Fick, Mark Fick, Max Fick, Henry Fick, Phillip Fick, Jr., and Josh Fick, Sr. The staff of Lindley Healthcare and Rehab will serve as honorary pallbearers. Arrangements by Jackson’s Newark Funeral Home.